With all the talk of renting and dealing with the “now” of our current situation in the last post, I should confess that lately, I’ve been daydreaming about our “next” place. We’re not moving anytime soon, but we’ve known since we came to St. Louis that this was just a temporary stop along the way. The next step in my career, however, might just allow for a forever home. Finally! Part of this daydreaming was spurred by all the shelter bloggers who are moving lately. 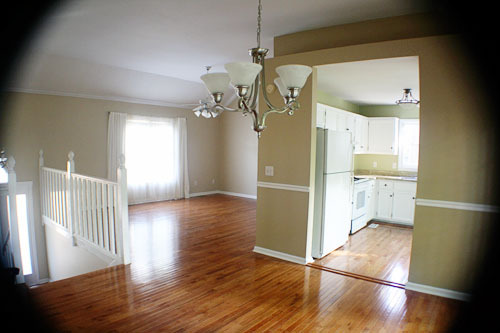 A personal favorite is Lauren Liess – I loved her old house, but I already all that she’ll do with the new one! But also on the move are Emily A. Clark, Hi Sugarplum!, and All Things G&D, plus the Vegas rental home from Centsational Girl and a cottage from Rambling Renovators... seriously, everyone’s unpacking their cardboard boxes and purchasing new sofas and redesigning kitchens. Even regular (i.e. 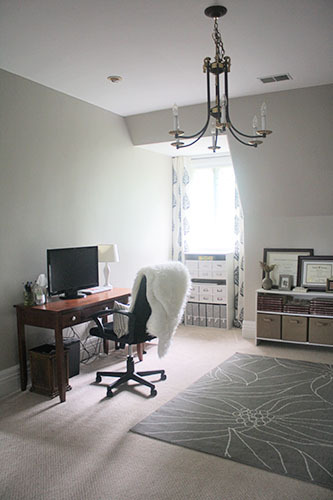 not décor/homemaking) bloggers like Amalah have just moved. It’s hard not to get a new-house-itch. And though we’re not moving yet, we’re getting closer to that every day (much to our landlady’s chagrin, who wants us to stay put forever). So, I thought I might as well start writing down those ideas “for our next place”. I figure, when it is actually time to move, I’ll be so overwhelmed by purging and cardboard boxes in this place that I’ll be grateful to have ideas ready for our next place! 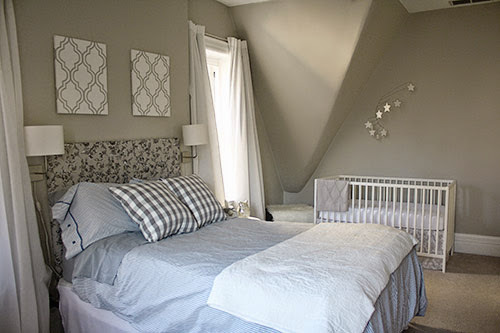 I knew when we rented this place that there was a chance we’d outgrow the two bedrooms – and considering the frequency with which grandparents visit, the dual guest room/nursery gets a workout for sure. We made it work when my mom lived here to nanny for us, but now, I’m extra eager to make a space that Baby P can call his own. I even bought his bedspread for his years-away big-kid bed because of course I did, I am that eager. 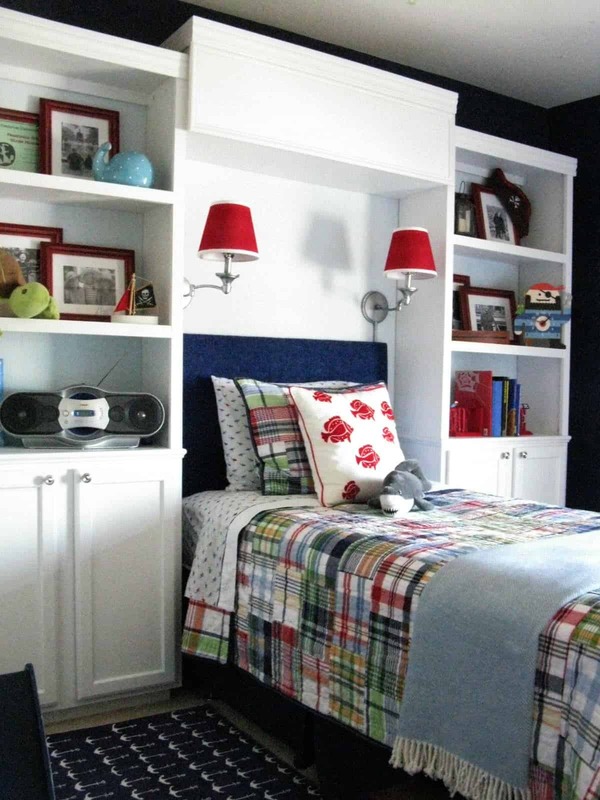 I can’t help but dream of the possibilities of his own room! 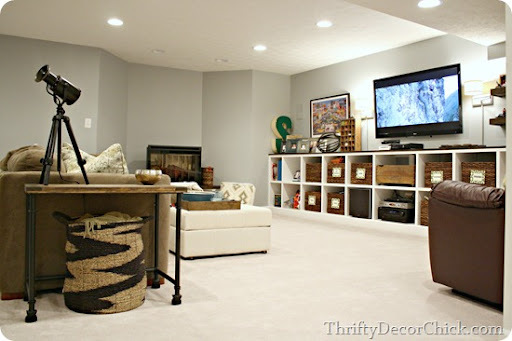 As long as I’m adding rooms onto our house, can I say how much I really want a basement? The sectional in our living room now is fine, but I’d much prefer a lounging/family space separate from entertaining space. I suppose it’s not necessary to actually have a family room in the basement – it could be another room on the same level. But at this point, I’ve totally romanticized basements as a cozy place where Mr. P can have all his movies and video games and Baby P can spread out all his toys and be noisy. Then I can just go upstairs to my tufted linen roll-arm sofa and have a glass of wine and contemplate how fantastic basements are. This is such a silly little thing, but I am so over the TV arrangement in our living room. I mean, it doesn’t have to be that HEMNES set, but for the price, I’d be happy with it! But as long as I’m dreaming and list-making, it’d be lovely to have something in the house already... or something we could build. So I guess if I’m being honest, what I really want is built-ins all over my house... or at least the ability to install them! Did I mention that our Nashville house didn’t have any carpet? Maybe once or twice or a thousand times? Chalk this up as another “I knew it wasn’t ideal” when we rented this apartment, but I’m so ready for hardwoods again. 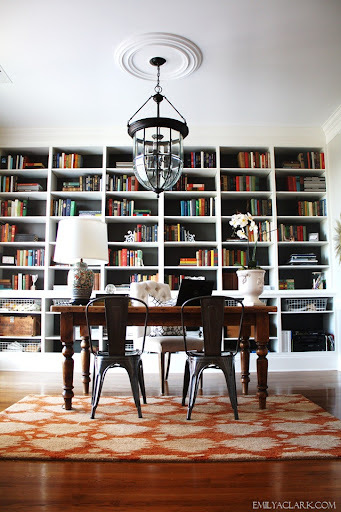 Most of my saved inspiration images have hardwoods, so decorating around carpet feels so... blah. 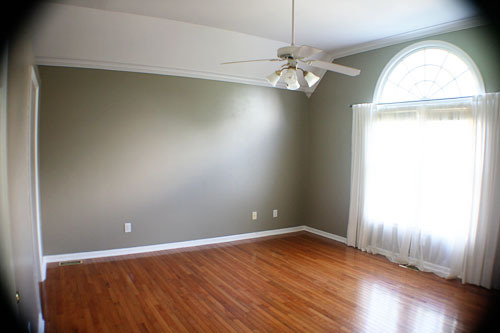 At minimum, I’d like to be in a place with hardwoods in the living areas. Every room that I don’t have to worry about my kid barfing up raspberries is a victory. While we’re strolling down memory lane, remember that I have a piano? I do! That piano went from my hometown, to Nashville, to my parent’s house elsewhere in Tennessee. It did not come here, because stairs. But soon it’ll be time for Baby P to start banging on it, and I admit that I miss playing it myself. 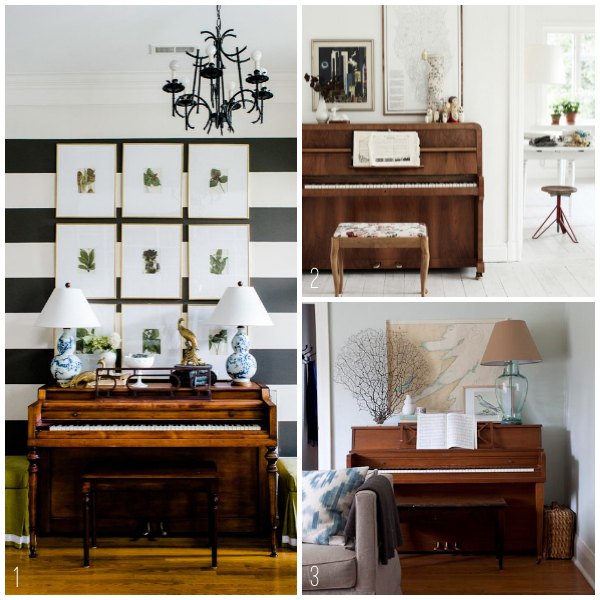 Pianos are never a hot décor item, but I’m ready to take on the challenge! Part of the reason for that is the fact that the office is also sort of a hallway, which limits the furniture arrangements. Then take into account the very few outlets in the room, and there’s basically no other place to put the desk but up against the wall. That’s frustrating for someone who really really really wants a floating desk. Seriously, doesn’t everyone feel more important and productive at a floating desk?! I cannot wait until I have an office space that allows me to cast off my boring laminate desk and get a nice, big table to feature in the center of the room... or hey, even just one from IKEA looks nice when it’s floating. 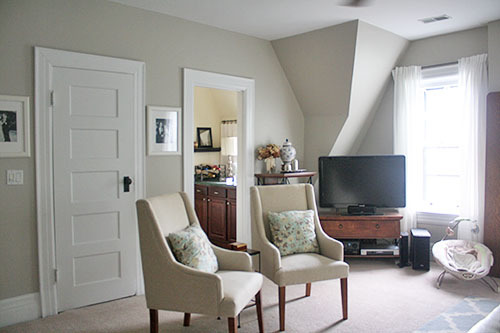 Of course, by making this wish list, I don’t want to wish away the great things we do have now – original (and purely decorative) fireplaces, antique cabinetry, lots of storage space, and our ridiculous square footage. But when everyone else seems to be moving, it’s fun to dream! I'm in the middle of building a house (hello, drywall!!) 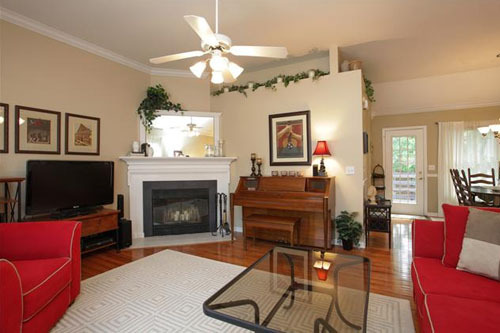 and I still look at inspiration and think "oh, wouldn't a screened in porch and formal dining room be amazing!" I think it's just a natural decor lovers disease.